A professional Model / Actress / Singer Songwriter, Sara moved to Los Angeles in 2012 and signed with prestigious Next Model Management. One of her more recent and exciting modeling acting projects was being featured as a hot rod driving beauty, racing on the El Mirage Dry Lake bed in the latest ZZ Top music video 'I Gotsta Get Paid' found on YouTube. Sara hails from the small town of Livingston Montana where she was born and raised in Big Sky Country surround by beautiful mountains and nature. Attending the University of Montana, Sara was a member of the Honors Society and graduated on the Dean's List with a BA Degree in Liberal Studies. While at the University Sara performed in the University Choir, participated in Volleyball and Music programs, and was a finalist in the Miss Montana Pageant. Following her University degree she went on to earn a 2-year Masters of Nursing Degree from the College of Mount St. Joseph, MN. Prior to moving to Los Angeles, Sara has been traveling and living across the United States as she took-in the world and explored her many career options in business, music and modeling. She recently spent a year in Nashville, TN, pursuing her music career and performing in legendary music venues like the Blue Bird Cafe featured in the TV Series "Nashville". Well-know motorcycle photographer and writer Jim Gianatsis, producer of the popular FastDates.com Motorcycle PinUp Calendars, discovered Sara for himself earlier this year. Their first photo shoot together turned out some great calendar shots soon to be gracing motorsports enthusiast's walls, they've became good friends, and have been working together ever since. Sara hosted and performed her music at the 2013 LA Calendar Motorcycle Show. 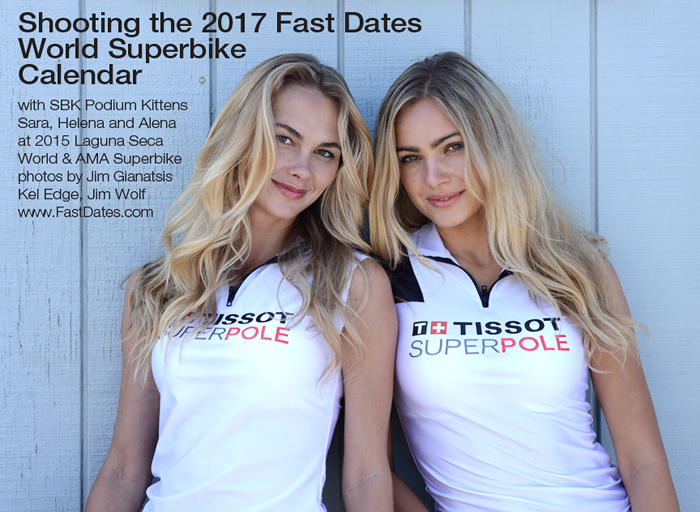 The FastDates.com Calendars & Website, in association with Umbrella Girls USA was excited to announce in 2015 that SBK World Superbike had selected three beautiful Fast Dates Calendar Kittens to grace the front of the starting grid when World Superbike Championship returned to the Monterey Peninsula at Laguna Seca Raceway in September 2015. The models included supermodel, actress, singer songwriter Sara Horvath, together with Elena Pusynaya and Elena savistokova from the Ukraine and Russia. 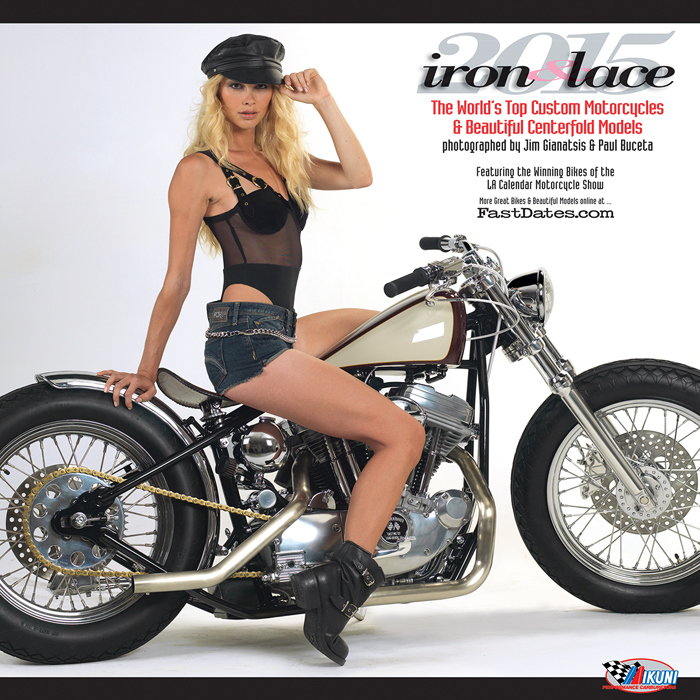 All three Calendar Kittens also shot with Jim that weekend for the 2017 edition of the Fast Dates World Superbike Calendar, and the following weekend at the 2015 LA Calendar Motorcle Show for the 2107 Iron & Lace Custom Motocycle, ad the Garage Girls Calendar. Sara is featured in all three editions of the 2015. 2017FastDates.com Calendars - Fast Dates, Garage Girls, Iron & Lace, and in Garage Girls 2018 and 2019.
featured in the ZZ Top video "I Gotsa Get Paid".